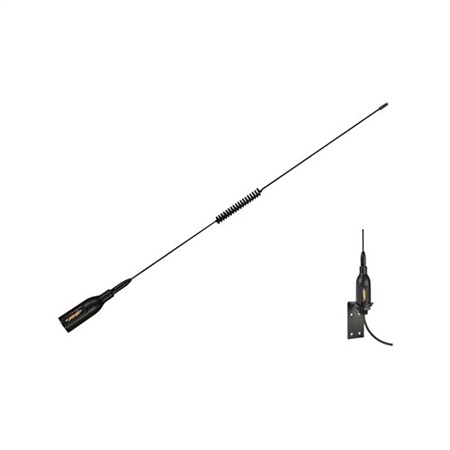 The Task antenna is a 3dB gain VHF antenna designed especially for Rigid Inflatable Boats. It’s compact (530mm / 20,9’ length) and super simple to install thanks to the supplied L bracket. With its black flexible steel whip with helical design to avoid excessive whipping action, and integrated 6m RG58C/U coax cable, it’s the best choice for a quick installation and removal.